Fred Otswong’o & Intellectual Property Associates (FOIPA) is a Consulting Firm in Intellectual Property (IP) Management in Kenya. The Firm has a team of Patent and Trademarks Agents appointed by KIPI to assist clients enhance their capacity in IP technical services in Kenya and within ARIPO, PCT and Madrid System Member States. To be the leading intellectual property consulting firm in Kenya. 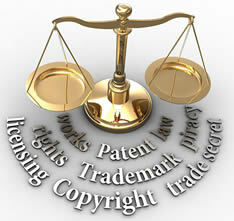 To provide effective intellectual property management consultancy services for sustainable economic growth.